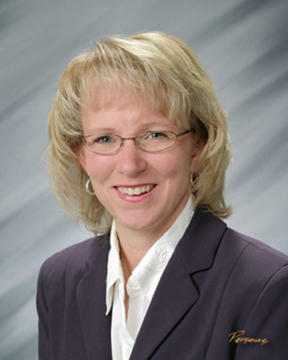 Laura Jaecks is currently the Confluence Technology Center and Capital Projects Manager for the Port of Chelan County. Laura previously served as Executive Director of Camp Fire USA – North Central Washington Council from 1996 to 2003 and was responsible for council operations in the counties of Chelan, Douglas, Grant, Okanogan and half of Adams. Laura’s previous career experiences include co-owner and general business manager of The Training Station (currently Gold’s Gym), and general partner in Cascade Investments. Laura holds a Project Management Certificate from University of Washington Extension, Masters of Education in Educational Technology, a BS in Accounting from Central Washington University, and an Associates of Arts Degree from Wenatchee Valley College. Laura has volunteered on many community and school district committees. She currently serves as a member of the City of Wenatchee Parks and Recreation Advisory Board and a Board Advisor to the Greater Wenatchee Area Technology Alliance (GWATA). Laura has spent a great deal of her time developing her knowledge of children’s issues through attending workshops and trainings and has written many successful grants, which benefit the community. In November 2009 she completed an eight month long Leadership WSSDA course designed to challenge school directors to grow as visionary, influential leaders, who demonstrate effective governance that improves student learning. The course was facilitated by the Washington State School Director Association. Karina R. Vega-Villa, Ph.D., is an Ecuadorian-American scientist, educator, and community leader. She earned a B.S. in Biological Sciences at the University of Idaho and a Ph.D. in Pharmaceutical Sciences from Washington State University. Currently, Karina is the Director of the Mathematics, Engineering, Science Achievement (MESA) Program and a faculty member at Wenatchee Valley College (WVC). The MESA program is a nationally recognized academic development program that advocates for access, education, and equity in sciences and mathematics. MESA aims to diversify the science, technology, engineering, and mathematics (STEM) workforce and prepare a new generation of STEM leaders by addressing the challenges historically underrepresented students face in their educational and career development. Karina is interested in science communication projects that reform the culture of communication within science and focus on improving collaboration, discovery, education, and public policy in STEM. Karina, her husband, and their two children moved to Wenatchee in 2013. Karina has been a Guardian ad Litem in Chelan and Douglas counties since 2014 and ensures that children in foster care receive adequate treatment and services. She has also volunteered at her son’s Parent, Teacher, and Student Association (PTSA) since 2016, and has enjoyed getting to know other parents in the school district. Karina wants to ensure that the voices of other parents who, like her, are unfamiliar with the American educational system, can be represented at the district level. Sunny Hemphill is a retired journalist and freelance book editor. During her career, Sunny worked as a newspaper reporter in Arkansas, Texas, and Arizona. She wrote about school districts, boards, and education issues during her career. Before moving to Wenatchee, Sunny directed Communications for the Arizona School Boards Association. After moving to Wenatchee, Sunny freelanced, writing on contract for a variety of agriculture associations, commission, and publication. Since retiring, she writes fiction and creates textile art. Sunny has been an active volunteer in the communities where she has lived, including in public schools. Once her children reached school age, Sunny volunteered in their classrooms and helped the school nurse at their elementary school. She has seen the profound effects of poverty on children and believes public education must address the achievement gap between children in poverty and their more affluent peers. Sunny studied Journalism at Baylor University from 1975 to 1979. She has an English Literature degree from Arizona State University. She is married and has two grown children, both of whom graduated from Wenatchee High School. Michele Sandberg, M.D., grew up in the Midwest. After completing her B.S. degree at Northeast Missouri State University (now Truman State University), she attended the University of Missouri-Columbia School of Medicine. Upon completion of her medical degree, she received her postgraduate training as an active duty member of the U.S. Army, serving nine years total. During that time, she completed a General Psychiatry Residency and a Child and Adolescent Psychiatry Fellowship at Tripler Army Medical Center in Honolulu, HI. She was then stationed at Walter Reed Army Medical Center (WRAMC) for the remainder of her military service, functioning as a staff psychiatrist in patient care and supervision of psychiatry residents and fellows. She was also involved in the military's Family Advocacy Program and the WRAMC Institutional Review Board (Human Use Committee) for review and approval of medical research at the facility. Moving to the Wenatchee Valley in 2008, Michele, her spouse and their four daughters enjoy all that the community has to offer in terms of recreation, culture and arts. Their daughters are all students in the Wenatchee School District. Michele has enjoyed being an active volunteer in the district, meeting other parents, students, educators, administrators and other district employees. She seeks to maximize every student's educational potential and will strive to continue to build a stronger collaborative relationship with the district and the community members. Michele welcomes your feedback on the district and its policies. Sarah Knox has worked in schools in various capacities over her career. She was a teacher, a teacher trainer, and then an instructional coach. She brings to the board a passion for excellent education as well as the knowledge of all that entails. She currently is the STEM (Science, Technology, Engineering, and Math) Librarian for North Central Regional Library which covers 5 counties and serves 30 cities and towns including Wenatchee. Sarah was born and raised in Wenatchee and graduated from Wenatchee High School in 2007. She is a proud Gonzaga graduate and will talk Zag basketball with anyone who will listen. She joined Teach For America and was placed in Phoenix, Arizona where she taught 2nd grade and attended evening classes to earn her Master’s Degree in Elementary Education. Sarah’s goals during her term on the board include increasing the transparency of the decision making process, establishing accountability at all levels, involving parents and the community more in all decisions that affect students, and promoting the expectation that all students will receive an excellent education. She is passionate about creating a positive culture at all levels to combat bullying. She also wants to support our educators by involving them at every opportunity and providing them with the resources that they are asking for. Please feel free to email her with your concerns, ideas, and thoughts about our schools. She would love to hear from you.